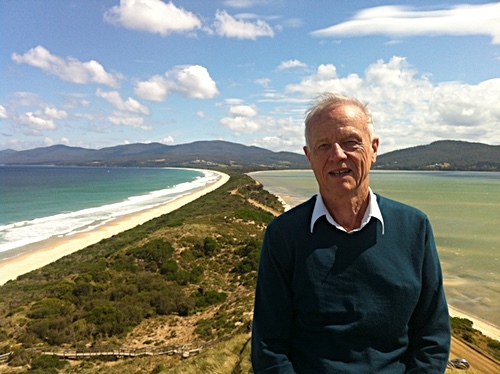 Australian Organist David Rumsey - pedagogue, researcher, composer and consultant - was a major figure in the development of Australian organ playing, repertoire, recording and building since the mid 1960s. 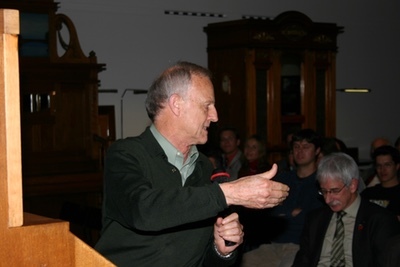 He studied the organ with Norman Johnston at the Sydney Conservatorium of Music, graduating as student of the year in 1963 after which he went to Europe to study with Marie-Claire Alain in Paris and then with Anton Heiller at the Vienna Akademie, where he graduated in 1966. This opened up to him the neo-classical aesthetics of the postwar European organ reform movement at its most vibrant and creative and initiated his profound interest and knowledge of the European organ in general, from its historical origins through to its most contemporary manifestations. He returned to Australia in 1966 together with fellow Heiller student, Christa Brosch - they married and had two daughters, Stella and Marie. Moving from Adelaide to Sydney in 1969, Rumsey established the Organ and Church Music School at the Sydney Conservatorium of Music and led the department for the following thirty years, teaching a host of students, many of whom went on to flourishing international careers. His teaching style was characterized by a commitment to a rigorous education in the history of organ repertoire and organ building and an understanding of how the two go together, epitomized by the extensive European organ tours he organized and ran for his students throughout his tenure. His repertoire was broad and Bach, Reger, Alain and Messiaen were among his favorite composers whose major works featured regularly at his recitals, though his concerts and recordings were often innovative, introducing unexplored organ repertoire to the Australian public, particularly early music and contemporary Australian organ music. He was organist for the Sydney Symphony Orchestra throughout this period and on one memorable occasion performed the Saint-Saens Organ Symphony at „Symphony in the Park“ in the Domain, with the SSO in the Park and David on the famous Sydney Town Hall organ, connected by a micro-wave link and big screen - just the sort of thing which appealed to his love of science and his sense of humor. He married Elizabeth Jones in 1998 and they moved together to Basel, Switzerland, in 2000, where his multi-faceted career flourished at full tempo. 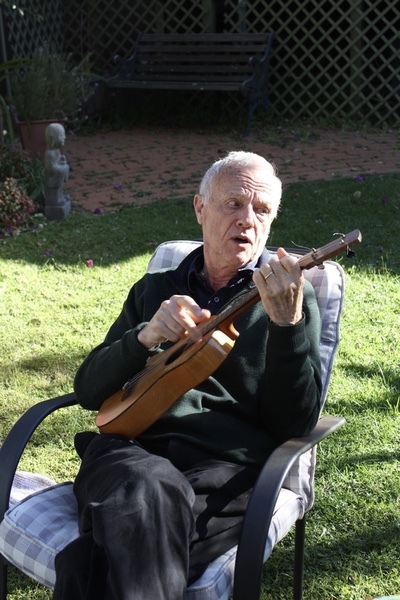 He continued his serious commitment to organ research, particularly in his collaboration with Kimberly Marshall on a lexicographical collection of articles about the organ, whilst pursuing his playing and lecturing career. 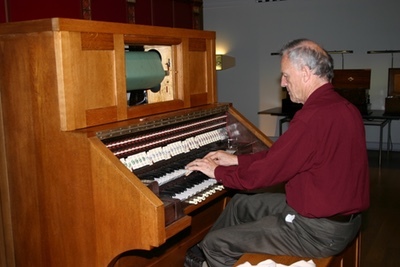 He was the organist of the Catholic Church in Laufen near Basel, and in 2010, in collaboration the Dutch organ builder Winold van der Putten, designed and commissioned the building of a Gothic organ. A significant emphasis over the recent years has been his collaboration with Daniel Debrunner in the restoration, curation and promotion of the 1913 Welte Philharmonic Organ (originally destined for HMHS Britannica, now housed in the Swiss national museum of automated musical instruments in Seewen) and the preservation and documentation of the vitally important collection of rolls recorded on the instrument by the most eminent organist/composers of the early 20th Century. The symbiosis of music history, technology and performance practice offered by this project suited his inquisitive personality perfectly, and his interest in it was infectious. His recreation was a matter of considerable importance to him, with the company of family and friends, good food and wine and, whenever possible, pristine and beautiful nature the most important ingredients. He was a talented and creative linguist and his writing and conversation were witty and sophisticated, peppered with interesting inter-cultural associations and an engaging vocabulary. He is survived by his wife Liz, his daughters Stella and Marie, his four granddaughters and a wide circle of friends around the globe, all of whom will miss his distinctive presence, gone too soon from us. David Rumsey, born in Sydney, Australia, March 30th 1939, died in Basel, Switzerland, February 12th, 2017, aged 77. This site is devoted to selected publications and other material relating to organs and organ music with which I have usually had some personal connection. It could well eventually epitomize Dahlhaus' statement above. Your patience is appreciated. 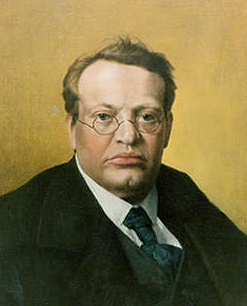 cover-photo One of the few colour images we have of Max Reger and possibly the most accurate. His eyes were indeed blue - another colour portrait portrays them as brown, but this was not the case. * Volume 12 of "The Britannic Organ" is now available. Searchable Database for "The Britannic Organ"
Project van Eyck - details of a special performance-based-on-research program. 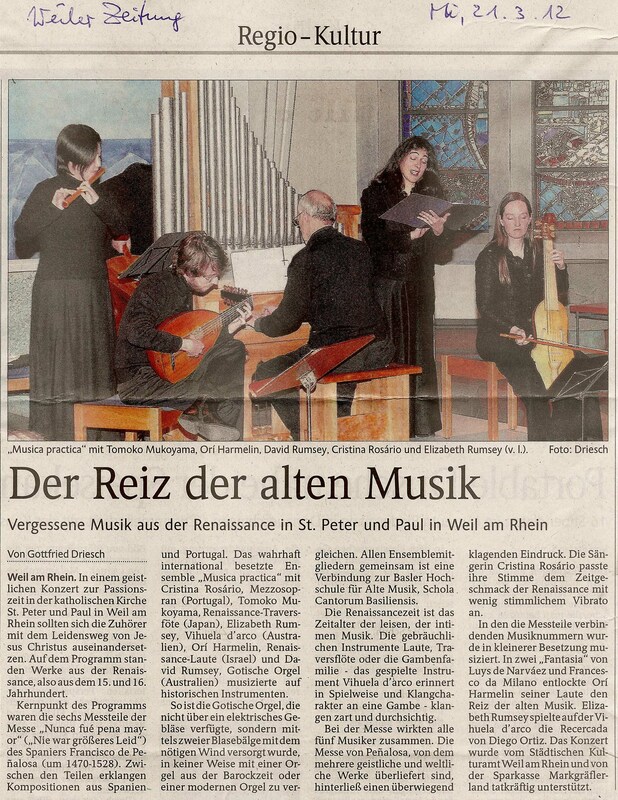 It was manifested at a concert in Muri (AG) on June 9th 2014, as part of the symposium "Die Orgel im Herbst des Mittelalters". Project van Eyck links the Rumsey-van der Putten "gothic" organ with the famous 15th century Ghent altarpiece's portrayal of the music-making of that era. The database of scanned Welte organ rolls held at the Museum der Musikautomaten in Seewen (August 2012). Available formats are Paradox (.db), QuattroPro (.qpw) and Microsoft Excel (.xlsx).